Sao Paulo, March 19, 2018―A prototype of the world's first hybrid flexible-fuel vehicle (Hybrid FFV), debuted in an event Toyota held today in Sao Paulo, Brazil. Stakeholders including the state government, universities, and the sugarcane association (the Sugarcane Industry Union: UNICA) attended the event. The prototype is the combination of a flexible-fuel vehicle (FFV) that can be powered by both gasoline and alternative fuels such as ethanol, and Toyota's famous hybrid system which combines a combustion engine and an electrical powertrain. Hybrid FFV is a new powertrain system that Toyota is developing with an aim to popularize Hybrid Electric Vehicles in Brazil and contribute to the environment through reduction of CO2 emissions. Hybrid FFV has the potential to drastically reduce total CO2 emissions as it is built on Toyota's hybrid system that has high energy efficiency and low emission levels and it also leverages the CO2 reabsorption capacity of ethanol, a plant-derived 100% renewable fuel. 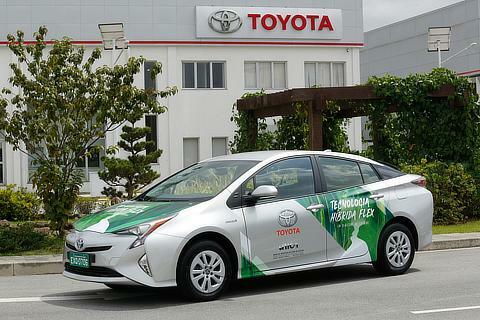 The prototype uses the Toyota Prius as a base model, which is currently sold and becoming popular in Brazil. Toyota's initial studies indicate that Hybrid FFV has a great advantage in environmental performance compared to a standard FFV, when we estimate CO2 emissions starting with the extraction of the raw material, through its distribution at the fuel pumps to the ignition in the combustion process of the car. If it is fueled only by sugarcane-based ethanol (E100 fuel), the results are even better. 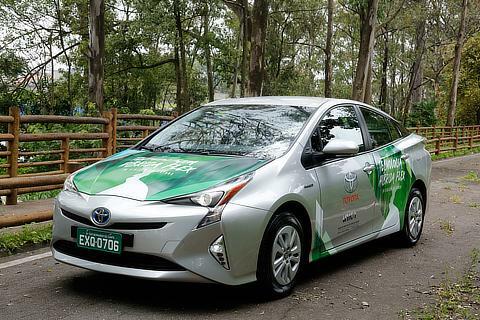 The development of Hybrid FFV represents one of Toyota's efforts to achieve its "Environmental Challenge 2050" where it challenges itself to reduce vehicle CO2 emissions by 90% in comparison with 2010 levels, by 2050. Another objective of the Environmental Challenge is to completely eliminate CO2 emissions from the vehicle lifecycle, including materials, parts and manufacturing. In line with that goal, Toyota also targets to have more than 5.5 million electrified vehicles in its global new vehicle sales by 2030. 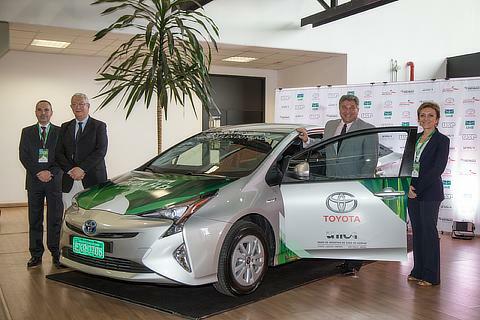 "I am very proud of our Toyota do Brasil engineers that worked closely with our engineers in Japan to develop the world's cleanest hybrid vehicle that uses ethanol for our Brazilian customers. The invention demonstrates our journey in providing a new mobility society," said Steve St. Angelo, Senior Managing Officer of Toyota Motor Corporation serving as CEO of Toyota Latin America Region and Caribbean, as well as Chairman of Toyota do Brasil. Toward the commercialization of Hybrid FFV in Brazil, Toyota will collect various data through real-world road testing in Brazil going forward and evaluate the system's reliability, durability, and powertrain performance.